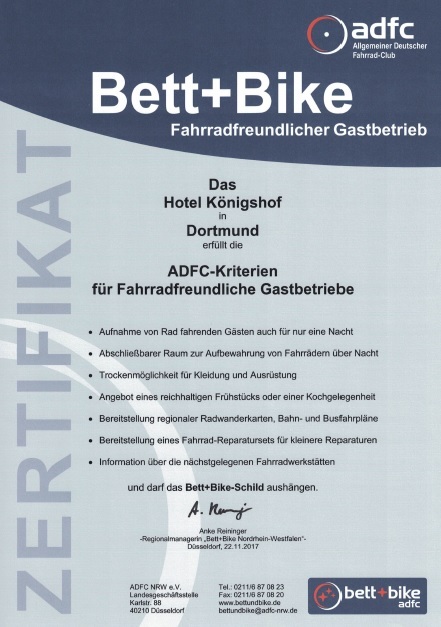 The Hotel Königshof – Certified as bike friendly! How much does it cost to take your bike with you? In addition to your regular ticket, you need an additional ticket for each trip and bike to take your bike with you. If buses and trams are to be used for the round trip on the same day, you can also buy the 4erZusatzTicket or the NRW-FahrradTagesTicket.